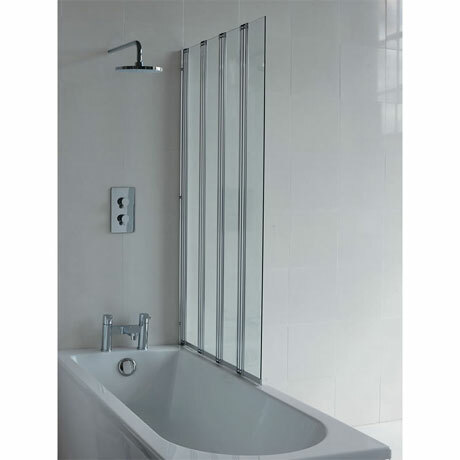 The Britton Four Panel Folding Bathscreen is an ideal finishing touch to any modern bathroom. Suitable for use with all rectangular baths. Manufactured from 5mm safety glass with 3M Easy Clean Coating which resists stains and makes lime deposits easier to remove. Please note: Bath, shower and taps sold separately.